Expertly hand crafted and knotted in India with artistic care, the lustrous recycled Sari silk of the M-17B rug creates an exquisitely soft pile underfoot that has average thickness. 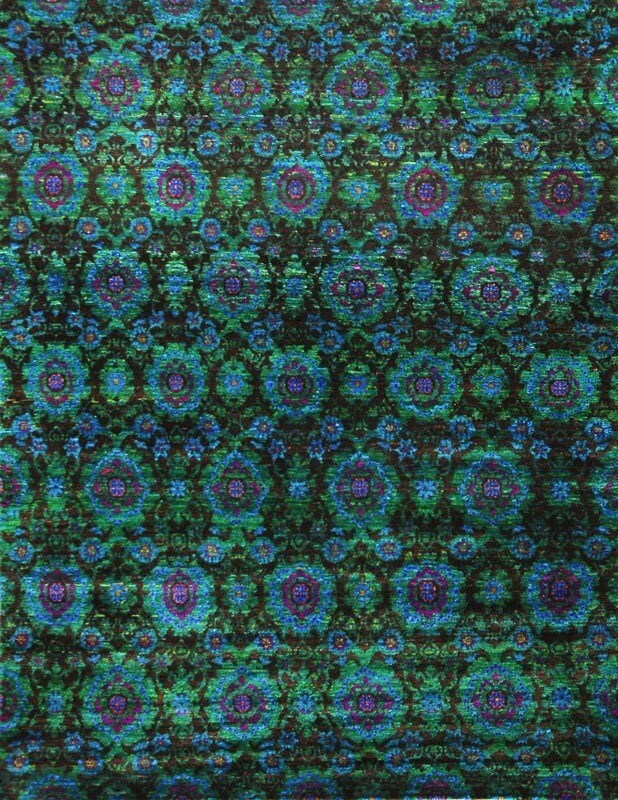 With remarkably colorful Sari silk and the gorgeous contrast between the jewel tones and cool hues of the green and blue palette, this transitional rug's classic floral inspired motif and vibrant color sceme is the perfect accent to contemporary interiors. The gorgeous Amaluk Collection utilizes the remnants from the production of Sari silk, and sorts the pieces into groups of base colors. This process allows for inimitable color combinations and designs.